this project kind of evolved from my initial idea of making a cake pedestal to a jewelry stand that i just love and use a ton! 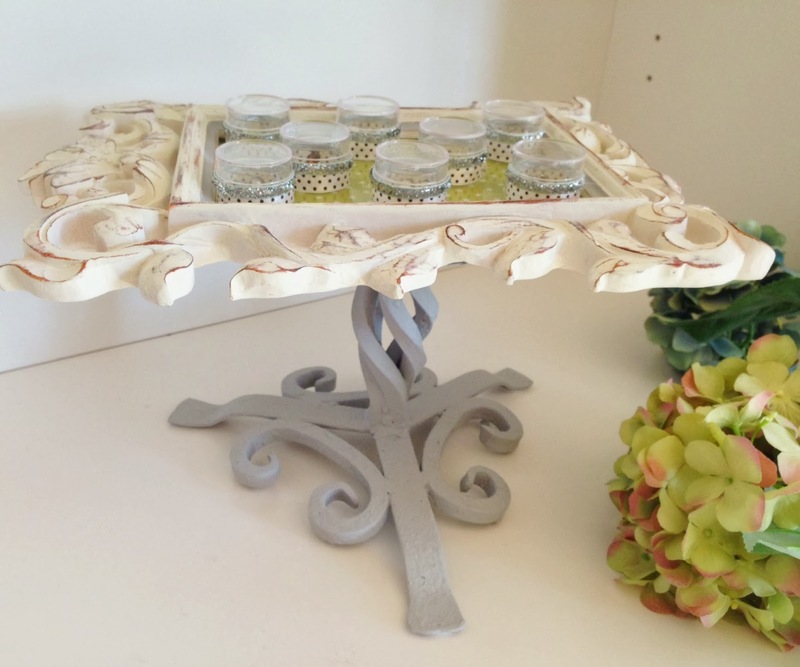 it all started with a rusty old candlestick holder that was popular in the 90’s. 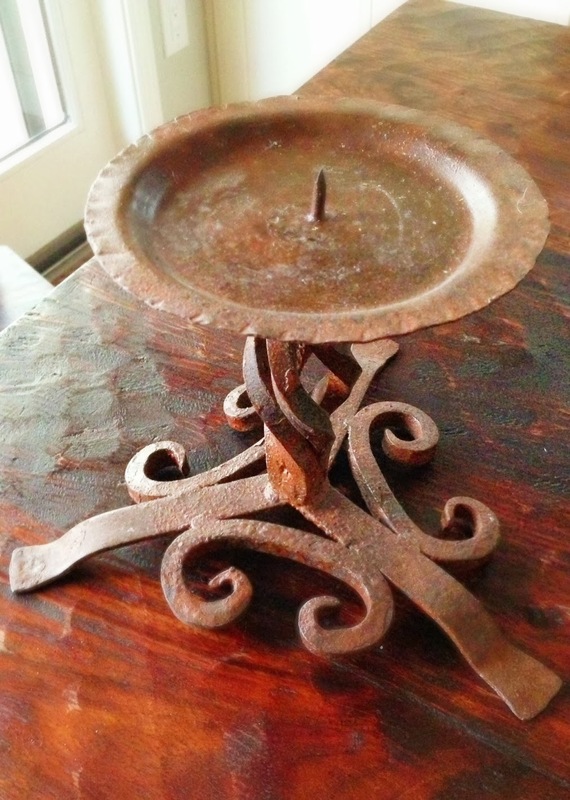 one of my passions is to peruse our local thrift shops and on one of my trips i found this rusty old candlestick that had flakes of rust and candle wax on it. i’m sure the salesperson was glad to sell this piece of junk! i almost didn’t buy it because of the bad state that it was in, but i really liked the ornate lines. 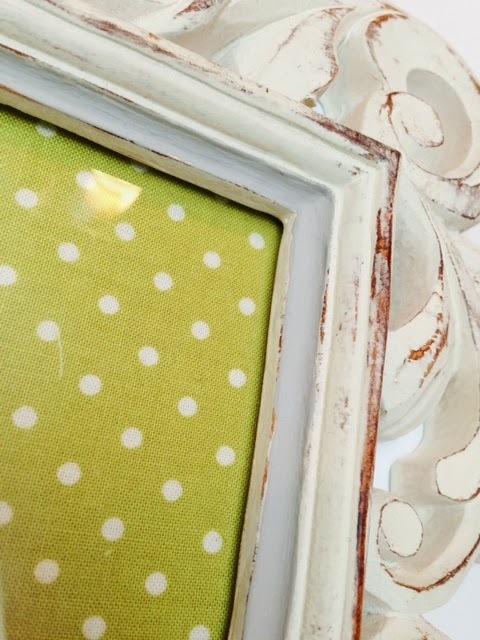 i planned on painting it with my chalk paint so that the grungy outer surface would be hidden. of course i quickly covered it with a nice fresh coat of paint and it transformed instantly. this photo kind of makes the stand appear nicer than it was! also, to get rid of the pointy part in the center, i just pulled it off with some pliers. 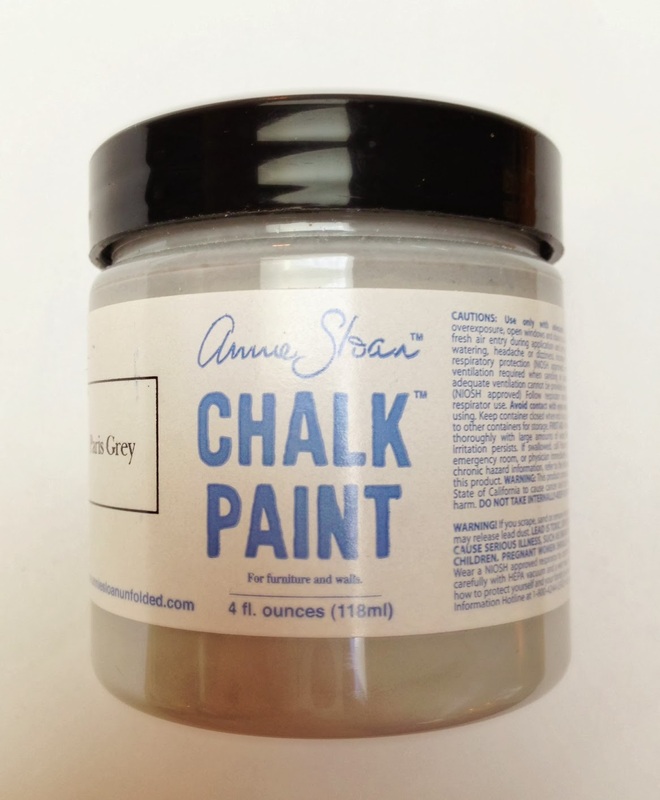 i used anne sloan’s chalk paint. 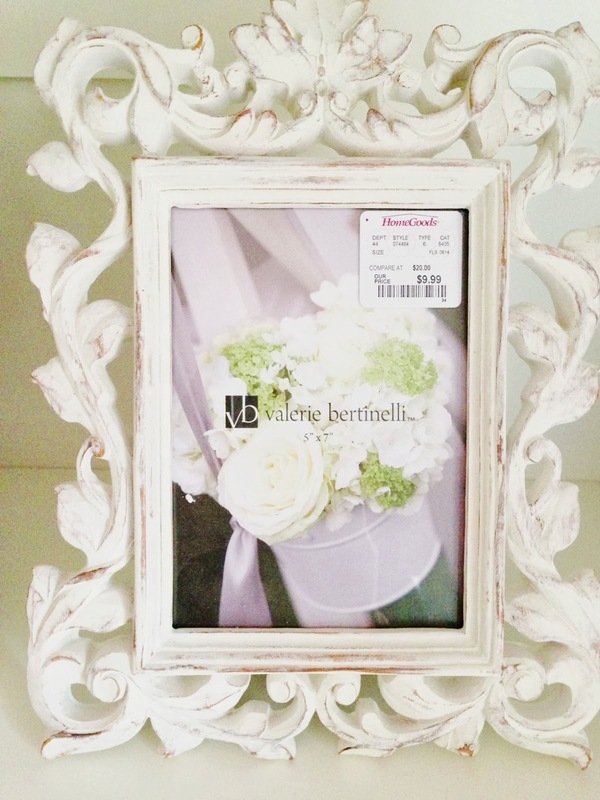 i bought my white picture frame from the store, home goods. i initially was going to place a coordinating scrapbook paper beneath the glass, but couldn’t find a design that i liked. 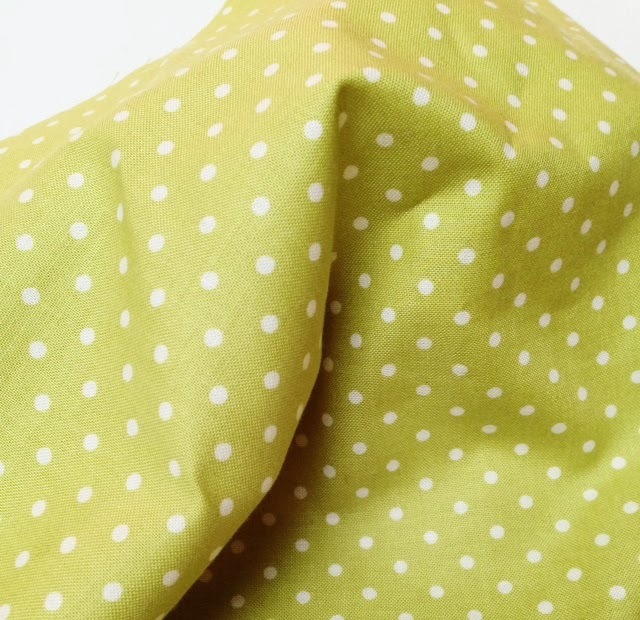 so, when i was in fabric store, i got the idea of using material! there are so many choices out there that i had no problem finding exactly what i wanted. so once you get your fabric, cut it out to the size of the glass and place it in between the glass and the back. basically the fabric is replacing the photo. i felt like i needed a little more of the stand’s color on the frame, so i painted a line in the inner part of the frame. 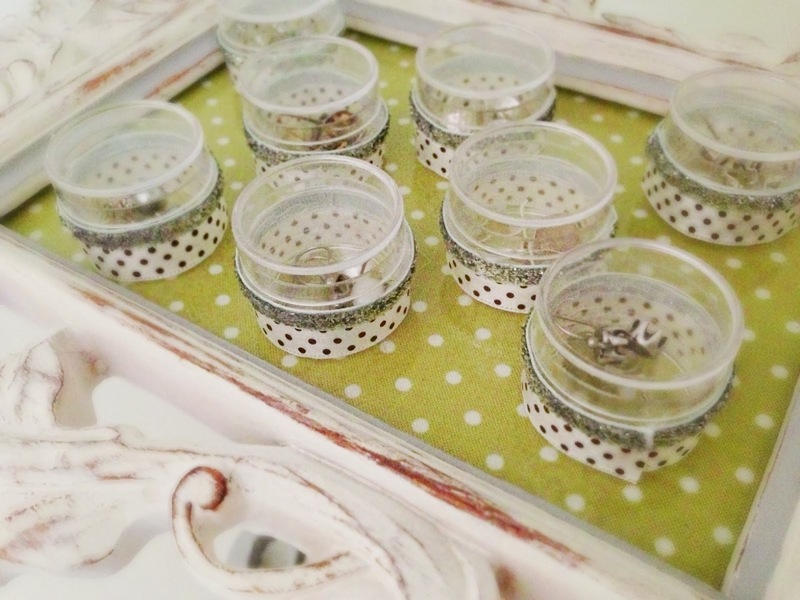 to hold the earrings, i bought plastic containers from the container store, but you can find them on amazon: small containers i decorated the containers with ribbon, but i believe anything would work, have fun decorating yours. after the frame and pedestal were complete, i just plopped the frame on top and didn’t even glue it down since the weight of the frame and the broad candle holder were pretty stable. if you want to glue the frame to the stand just use a glue that will work with your materials. thanks for stopping by and visit my facebook page too or subscribe to happy happy nester on bloglovin ! WOW! Beautiful jewelry pieces I must say. It is nice to see the latest summer jewelry collection. The earrings, the bracelets and the ring all are just wonderful. I personally like that perfect platinum diamond ring displayed above.